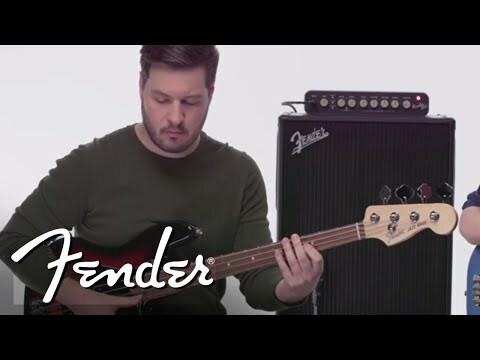 If you're looking for a truly versatile, lightweight, powerful new solution to your bass performances, you need to check out the Fender Rumb.. If you're looking for a truly versatile, lightweight, powerful new solution to your bass performances, you need to check out the Fender Rumble 800 HD Bass Amplifier Head! Fender Rumble bass amps are renowned the world over for delivering clear, balanced bass sound, at a reasonable price. With the Fender Rumble 800 HD you get the perfect amplification solution for the bassist on the go. In addition to the pin-point-precise 4-band EQ, the Fender Rumble 800 HD also comes complete with other controls for shaping your tone. As well as this, the Fender Rumble 800 HD comes complete with an on-board, switchable overdrive circuit, which allows you to add as much or as little grit to your playing as you wish. Call into your local store or place your order online now for the Fender Rumble 800 HD, and choose from our fabulous range of Home Delivery and Store Pickup options. Dimensions: 7.10" x 13.20" x 24.90"